What works and what should the professional do? A clever organization saves you money! Secure yourself in advance legally and financially! For many families, home ownership is a lifelong dream. But house building is always associated with a big investment, not everyone can or wants to do the same. After all, paying off a property often takes several decades. So it makes sense to save costs by "lending a hand". In the vernacular, such self-work is also called "muscle mortgage". 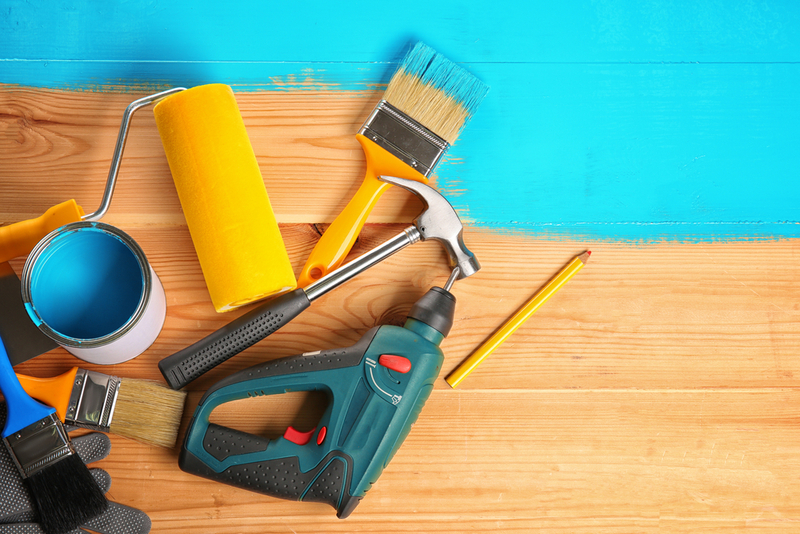 Depending on the degree of ability, the concept works in a number of areas of home construction: whether it involves building basic works such as building walls, installing sanitary facilities or designing tasks such as wallpapering or laying carpets. The general rule: The more hands grab, the faster the work can be realized. But beware Not all in-house services really save costs. There are many sub-projects in house building that require expertise and craftsmanship. All defects caused by yourself lead to new costs and often also mean a build delay. The cost risk exists above all with the warranty claims. If it is not possible to differentiate between the third-party services of the construction company and the own services in case of defects, you risk a refusal of payment by the insurances. The house construction in own direction should therefore be well planned. Tasks that cause uncertainty for you or your helpers are more likely to put you in professional hands. As praiseworthy a high motivation for the own performance is: Avoid exposing yourself to high risk and always keep an eye on your own limits. For there are achievements in the house construction, which should take over exclusively professionals. These include, among other things, all electrical work. The same applies to the sanitary and heating works. For such major trades, you should really only allow helpers with sound knowledge of the subject. If something goes wrong with demanding tasks that require knowledge of construction and installation regulations, then it can cost you dearly. This does not only apply to costs for repair work by the skilled person, but possibly also to penalties by the building control authority. Sufficient competence also require work on the shell: Not everyone can pull up walls or install windows. Therefore, consult a qualified shell manufacturer. Indeed: If you have a helper who controls the walls, you can save a lot of money here. Again Association of European DIY Partners (VES) has found, can be with an average single family house so save about 22,000 euros! Good results with own contribution can be achieved, for example, in garden design and interior design. In addition to painting and wallpapering, these include, among other things, the external and internal insulation and insulation, the laying of carpeting or laminate as well as the design of the outdoor area. Basically, those trades that have a simple level of difficulty and for which there is no need for knowledge regarding building regulations are particularly suitable. Finally, savings in labor costs can significantly save the overall budget. Creating a garden requires about depending on the size up to 45 hours of work. Of course horticulture is an elaborate procedure, but for lovers of gardening it is also a delightful challenge. Taking over own work on building a house requires a lot of time. This point is often underestimated by many builders. The fact is that unskilled workers take a lot longer to do for individual tasks than do craftsmen. According to the statements of Association of Private Builders (VPB) At the same time skilled workers are able to create a maximum of two thirds of the project. Who knows that, can plan quite realistically. As a guide recommends the Client Protection Association (BSB) Therefore, the own contribution only for about five to ten percent of the total construction costs. Therefore, be sure to contact us in advance Your cooperating contractor. Ask him which personal services you and your personal team can take on and what you need. Continue to create a plan with the materials needed for the project. In order to save additional costs, worth a price comparison of different providers and hardware stores. Be sure to clarify in advance - together with your construction workers - how much time you can spend on the site every week. How much vacation is everyone ready to sacrifice for the construction project? How many hours can you spend on construction in addition to regular working hours? Find the conversation with your helping friends and relatives. Clarify who can take which tasks and in what order they have to be done. It is important to one at least rough sequence of steps otherwise it can quickly lead to confusion and duplication of helpers. This is especially true if you have more than ten construction workers on site. You are wasting the motivation and time of your friends, if not everyone knows, on which days he really has to be there in order to carry out the assigned work swiftly. Uncertainties delay the construction time. So create a plan (in agreement with the construction company)It sets out who is doing what, when the tasks are done and how much time is needed. Since most construction workers will lack routine, the duration should be generously planned. The plan must be integrated into the construction of the construction company, otherwise may collide with third-party and own achievements in the implementation. However, before you actually start working on your own, you have to secure some legal and financial security. The Arbeitsgemeinschaft Bau- und Immobilienrecht (ARGE Building Law) in the German Bar Association (DAV) Here are some useful tips. On the one hand, you need a qualified site manager, master craftsman or architect, who oversees construction work on the own work. The latter is in charge of the construction site and undertakes in most of the federal states to officially notify the building inspection authority of the commencement of construction work, completion of the bodywork and final completion. 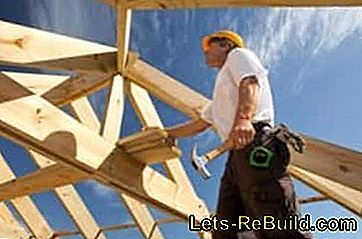 Laypeople can not take on this responsible task, so that builders are in most cases out of the question. Also, the supervision should not be done as a task incidentally. It is important for all involved that the supervisor takes his responsibility seriously and checks everything carefully. Stress and time pressure are poor home construction consultants - especially when in-house work is planned. That's another reason why you should integrate the in-house services that you already integrated into the construction sequence with the construction companies in the planning phase. to record again in a contract exactly. It should be detailed, which services are planned in-house and which are provided by external companies. 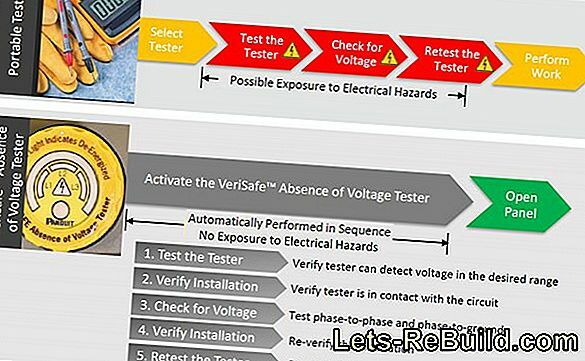 This step is important in order to be able to clarify the responsibility beyond doubt - for example in the event of any construction deficiencies. This is where construction lawyers advise you. The client himself is liable for damages caused by independently performed works. To secure the construction workers, you must either take out a private insurance or obtain a statutory accident insurance. The latter can be obtained by reporting the own work to the Bau-Berufsgenossenschaft. Let experts for construction law and insurance experts advise you in order to achieve the most watertight possible protection for all eventualities. After all administrative and organizational concerns have been resolved, you can finally start. There are many ways to save money, both in the design and in the choice of materials. This starts with the construction of non-load-bearing walls and ends with the choice of windows and doors. When buying materials, it is always important to find a cheap alternative to expensive products. This spares the building budget and can be used elsewhere. But not always the cheap version is the better one. For functional materials such as insulation or wallpaper paste, quality is crucial. Not for nothing says a saying "Who buys cheap, buys twice", If you find a good middle ground when shopping, then you build quality at lower prices. You also save money on decorative materials such as wallpaper, flooring or wall tiles. There are numerous online shops on the Internet that offer lower prices than the specialist retailers around the corner. When building a house, a distinction is made between load-bearing and non-load-bearing walls. If you want to be active in this area yourself, then focus on the non-load-bearing walls. That is less risky. Even with the topic of insulation and thermal insulation, you can save on your own. Intermediate walls can be made relatively easily from aerated concrete blocks or with the help of a frame made of plasterboard and wood or metal profiles. Caution: aerated concrete is a lightweight material, but the soundproofing properties are not very pronounced. 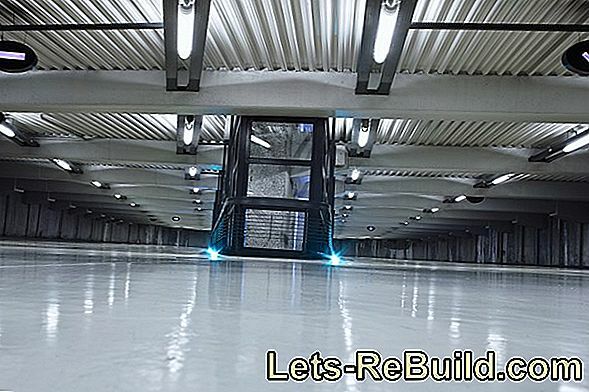 Discuss your project with a structural engineer to keep the ceiling load under control. In terms of thermal insulation writes you the energy saving regulation how to look exactly like this. As a material for insulation in the interior usually special insulation boards are used. On the other hand, if you plan thermal insulation over the exterior, then you can choose between glass or rock wool and insulation boards made of fiber cement or calcium silicate. You can find out which insulation is the right one for your construction project from a heat insulation consultant. Or contact your contractor first. He may have useful contacts to help you. Both types of insulation depend on the construction method. A wooden house is insulated differently than a massive stone house. Windows bring light and air into a room. That's why a reasonable number of windows are planned for each room become. A useful guideline states that for sufficient exposure, the calculated window areas must account for at least ten percent of the floor area. Both doors and windows are also used for thermal insulation. The following applies here: The higher the quality, the better the insulating properties. The market offers a variety of different types of windows and doors, so that there are hardly any limits to creative freedom. The same applies to the look: When choosing the final elements such as windows and doors, agree on style and material. Do you want wood or plastic windows? Doors made of glass or in an attractive material mix? What color should windows and doors have? And above all, what quality level? The installation of windows and doors differs in difficulty. The installation of doors is for a talented home improvement in the field of the possible. On the Internet you will find detailed instructions for installation in new buildings. For windows, the situation looks different, because the correct installation also depends on the thermal insulation. If you work here incorrectly, then you risk costly rework by a craftsman. The degree of difficulty, however, depends on the window shape. The installation of conventional windows is easily feasible for clever DIY enthusiasts. Before you start, work with assembly instructions and weigh up whether you can trust this performance. Solid wood planks, laminate, ceramic and marble slabs, cork, parquet, PVC, linoleum or carpeting: the selection of floor coverings is gigantic. As diverse as they are in material and condition, so different are the price ranges of the coverings. Many builders invest in a high-quality flooring and then save when laying by lending a hand. You can too! However, exact work is necessary here and every material requires its own treatment. If you have no experience laying floors or you do not know anyone to whom you want to entrust this task, then you should rely on an expert. In the case of expensive floor coverings in particular, you get annoyed when the experiment fails. Nevertheless, start the project on your own, then make sure to prepare the ground accordingly. It must be even and firm - small bumps lead to an unclean result. Even with the technical design, mistakes are annoying, for example when the edges are not exactly aligned or the cut does not fit exactly. But if you decide for this contribution, then sparse about 40 euros in labor costs per square meter. If that is not an incentive! Not only in interior design, you will find plenty of ways to save costs in building a house. Even the independent creation of a garden offers an enormous saving potential. Already the planning of an appealing garden plant costs with a landscape gardener fast several hundred euro. Then there is the construction of a terrace, the creation of a pond, the construction of a shed, the planting of shrubs, trees and flowers - and so on. Depending on the garden size and effort you can do here with your own muscle power save between 2,000 to 4,000 euros. You can use various instruments for gardening on your own. Get ideas for designing your own green oasis in magazines for home and garden. Calculate the layout using a special PC software for gardens. These allow planning for different natural spaces and give space for individuality. Modern programs even use 3D for a plastic representation. If you prefer it classic, take a block of paper and a pen on hand and outlines the garden itself. For accuracy, use the plot as a template and pause your ideas on a blank sheet of paper. Make sure that you stick to the right scale, otherwise your design will not be right in the end. Be sure to create one after completing the planning Material list including prices for terrace, garden paths, plants, gravel etc. By listing all items and the resulting quantity, you get an overview of the required budget and can make adjustments if necessary. Of course, a garden that consists mainly of lawns is correspondingly cheaper in design than a playful biotope with countless details. Only when everything is calculated and organized, start with the garden design. With a few helping hands you can prepare your personal plant paradise in no time. If the budget does not suffice for the immediate completion, then you complete the garden gradually in steps. The project own contribution in the house construction is complex and not to be underestimated. There are many issues that need to be discussed, planned and organized in advance. The legal and financial security is an important concern, which you as a builder must take seriously, otherwise unpleasant consequences threaten. Get a consultant on board for larger projects. Even if it is chargeable, it will ultimately help you with its know-how to make the right decisions and to avoid rework. Also keep your construction workers, who participate in the relevant subprojects, always up to date and get yourself - if enough experience is available - Also advice with your helpers. With the right contacts and construction helpers own work in many trades are possible. Major trades requiring conditions and regulations should, however, be transferred to the construction company for both physical and financial security. In addition, you must expect a lot of time for each phase of construction that you want to carry out yourself. You probably have little to do with the construction trade in your everyday life, so that the processes are not routine. This requires time in the implementation. Furthermore, comprehensive planning is always an advantage. This includes delegating tasks.Which of your helpers is suitable for which activities? Who owns special skills in interior design or who horticulture? A checklist helps you to survey and distribute all possible in-house services. If your private helpers are entrusted with the right projects, they can work efficiently. If you follow all these advices, then you see a stress-reduced house building with own contribution opposite. This is a challenge in many ways, but with diligence, courage and many helping hands, the dream of a home comes so close. We wish you a happy life and a lot of success in building a house! Thomas mosquito, former business policeman, became self-employed in the financial sector in an advisory capacity and is now managing director of the company he founded Loan comparison portal. Budget resolution, clearing out, housing resolution - Entrümpelungsfirma or own contribution? Even an experienced handyman can get something serious on his foot. Protect your feet with safety shoes! Glass blocks can be used to build transparent walls. Recently, however, there are also systems made of plastic building blocks, which can be used in a similar decorative manner as the normal building blocks made of glass. Ethanol fireplace and gel fireplace: find out what advantages and disadvantages a fireplace with ethanol or bioalcohol has in comparison to the gel fireplace.